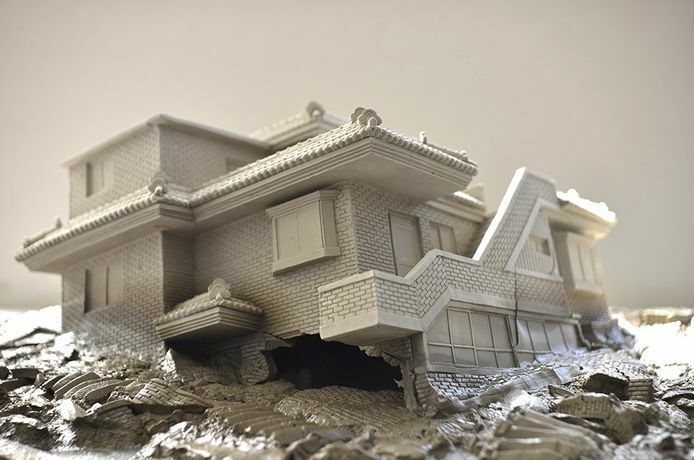 Anise Gallery presents Florence Trust Resident Artist Kristina Chan and V&A Ceramics Resident Juree Kim together. 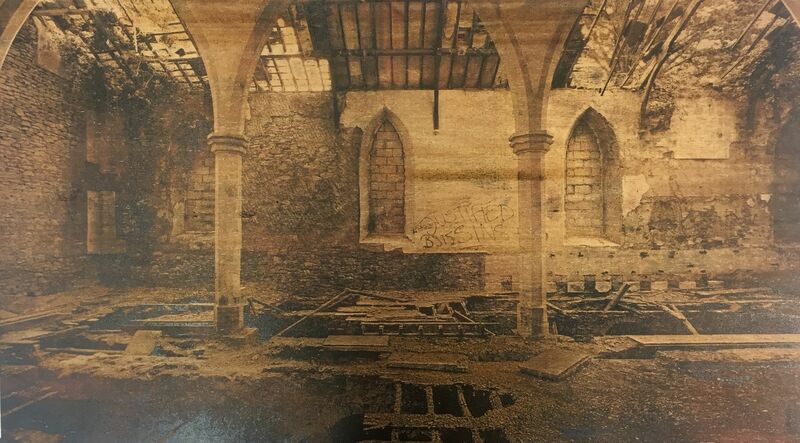 Kristina and Juree's research and work meet in their respective investigations of architectural development, decay and destruction, with a focal critique on manmade effects. Kristina's use of lithograph print, bronze and copper has been developed by recent residencies around the world, including Vancouver, Edinburgh and London. The research element to her work is fundamental to the end product, encompassing geographies, histories and political manifestation. In keeping with her printmaking practice, Kristina explores how mankind marks the world and how it marks us in response. 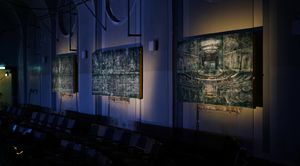 Her work featured in 'Exhibit A' is a visual investigation into the way architectural structures and everyday objects are left to decay by human action, or inaction, therefore changing the landscape. Kristina is the recipient of multiple accolades including the Anthony Dawson Young Printmaker Award, the RSA Guthrie Award, Edinburgh Printmakers Award, the Elizabeth Greenshields Foundation Grant Award and was shortlisted for the Jerwood Artist Bursary and the Aesthetica Art Prize (all 2017). 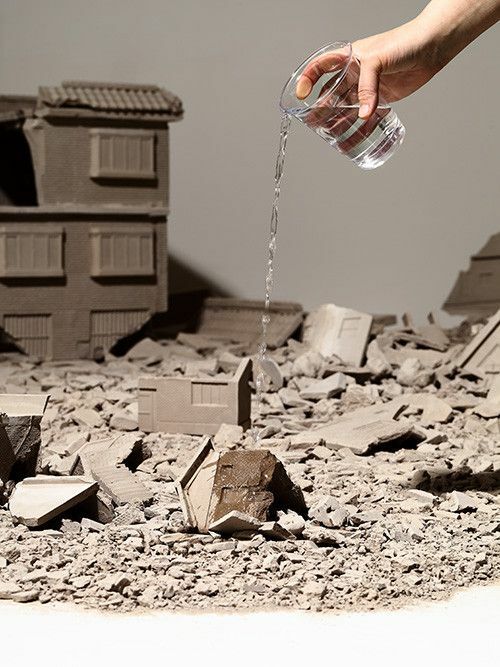 As the V&A Korean Ceramics Resident, Juree Kim's clay architectural sculptures are both activated and eroded by the artist's intervention of pouring water, which descends the pieces slowly and gradually into realistic depictions of delapidated buildings, reflecting Juree's experiences of Seoul's regeneration. The artist intricately replicates these vernacular Korean buildings before they are demolished in favour of alternative housing solutions, and while they have a highly personal nature it is one that viewers around the world will be able to relate to. Juree's work has been exhibited internationally including the British Ceramics Biennial, Seoul National Museum of Art, the V&A, The Second Chongging Asia Young Artist Biennal and Sungkok Art Museum, Seoul. She is the recipient of the ARCO Museum Career Development Program Award, the Song Eun Art Award and the ARTE New Artist Development Program. 'Exhibit A' will present a dialogue between the two artists' critical engagement with architecture, and the opening night will include a performative element whereby Juree will activate her sculpture. 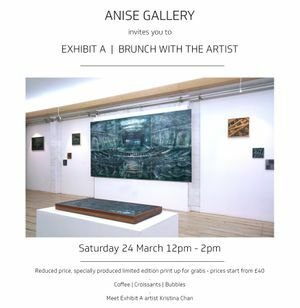 To accompany the exhibition, Anise Gallery will host a panel discussion on the subject of artist residencies for practitioners after graduating, which will include representatives from the Florence Trust and East London Printmakers.